Relda Sue Brummett, age 69, of Rains Street, Williamsburg, Kentucky departed this life on Monday, March 12, 2018 at Baptist Health in Lexington. She was born on April 14, 1948 in Pine Knot, Kentucky to the late Clifton Douglas and Ethel Sargent Richardson Douglas. In addition to her parents, she was also preceded in death by a granddaughter, Lorrie Brummett. She is survived by her husband, Carl Brummett of Williamsburg; three children, Steve D. Brummett, Judy Mae Amsberry (Steve) and Emanuel Brummett (Patricia) all of Williamsburg; four grandchildren, Dennis C. Nelson, Ronnie E. Vanderpool, Barbara D. Vanderpool and Emanuel R. Brummett Jr.; great-grandchildren, Annabelle Nelson, Addyson Nelson, Axel Nelson, Landon Vanderpool, Kalvin Vanderpool, Makara Vanderpool, Ariella Vanderpool and Jayda Brummett; brother, Nick Douglas (Peggy) of Pine Knot; several nieces and nephews; and a host of other family and friends to mourn her passing. Visitation will be after 6:00 P.M. Thursday, March 15, 2018 at Croley Funeral Home. Funeral service will be at 11:00 A.M. Friday, March 16, 2018 at the Croley Funeral Home Chapel with Rev. Dennis Nelson and Rev. Eric Jordan officiating. Following the service she will be laid to rest in the Highland Cemetery. 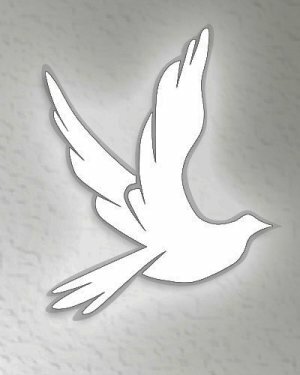 Obituary information is courtesy of Pine Knot Funeral Home.